Knowing how long you’re stuck at a light will eventually lead to a better commute. As I get closer to the intersection, a countdown starts on the dashboard. The light is currently green, but the new Audi I'm driving tells me it'll be 147 seconds before I make it through the junction. Sure enough, the light turns yellow, then red, and I come to a stop as the numbers tick off in reverse. Once it hits four, the timer disappears, and within a few seconds the light turns green. It seems like a trivial feature, a timer telling you when a traffic signal is about to change. But in practice, it's quite useful. More important, it's currently available in Las Vegas, a baby step toward a future where cars and cities talk to one another to reduce gridlock. 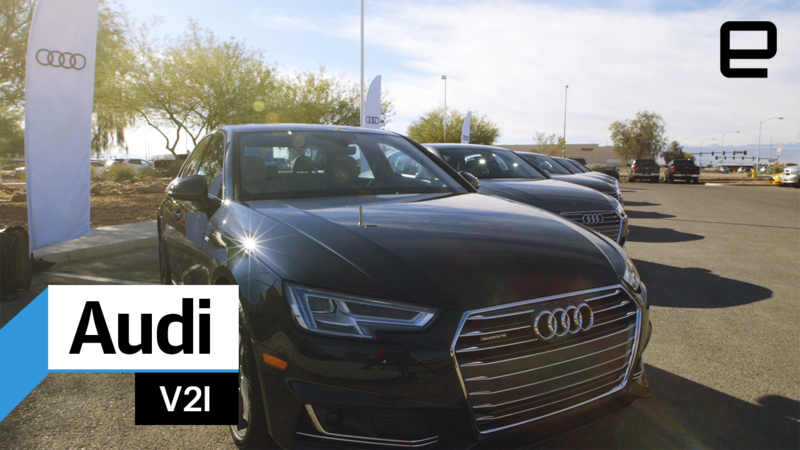 Audi is showing off its new Vehicle to Infrastructure framework (V2I) in Las Vegas, a town known more for gambling and debauchery than cutting-edge technology. The truth is that Sin City is the perfect place to launch Audi's new technology, thanks to the Regional Transportation Commission of Southern Nevada (RTC). The government agency actually oversees all of the city and surrounding area's transit infrastructure. From buses to traffic signals to new roads, it's all handled by a single entity, which allows it to move quickly to make changes to its system and partner with companies like Audi. 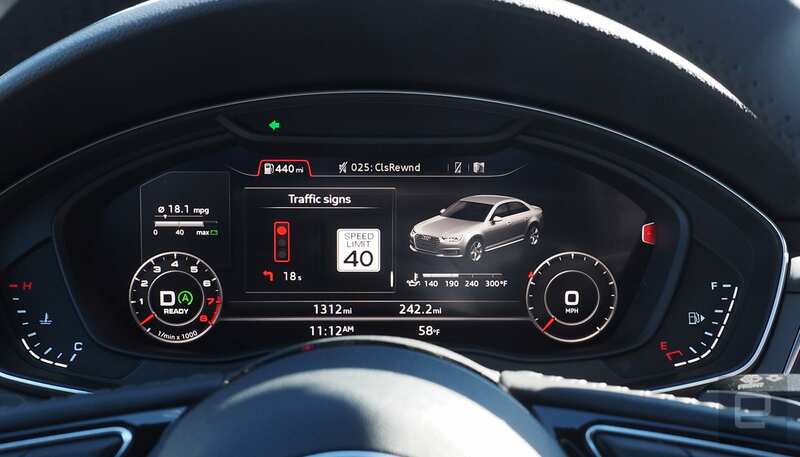 The result is a car that knows when a light is about to turn green, thanks to the city sharing data with the vehicle through Audi's partner Traffic Technology Services (TTS). At the server level the technology is a bit complex, with algorithms and data vetting. But as far as drivers are concerned, they don't have to do anything but drive. Here's how it works: When a car enters an area or city that supports V2I, it logs onto the infrastructure's cloud with a onetime-use token. As it's driving around, its GPS location and heading determine which traffic signal is coming up. The TTS serves up information about that light, and the car determines if you'll make it through the intersection (in which case nothing happens) or if you'll be caught by the red light. In that scenario, the countdown begins until the green light appears. During my lap of Vegas I found the countdown (which appears on the dash and in the HUD) quite helpful in determining how much time I had before I had to start driving again. In real life, a red light is an opportunity to switch a song or artist on a smartphone, check on your kids in the back seat or take a quick sip of coffee. The problem in all of those situations is you're not sure how much time you have to complete those tasks. With the countdown clock, you'd know. It's also slightly comforting to be reminded that the light will eventually turn green again. There have been plenty of times during my life as a driver when I've encountered a red light that didn't seem to acknowledge my car. I'd back up and pull forward, making sure the sensor detected my vehicle. This feature would tell me that, yes, the light will turn green again, and this is when it'll happen. And while Audi has been working on the technology behind this feature for years, it wouldn't be possible without the forward-thinking transit commission. RTC general manager Tina Quigley said the commission wants to set a precedent to help determine what automakers need and to figure out how it can budget these types of partnerships. "No one has done a cost/benefits analysis of the smart infrastructure benefits," Quigley said. After the presentation, she was headed to Washington, DC, to talk about what Las Vegas is doing and how it's accomplishing it. Meanwhile Audi is talking to other metropolitan areas about rolling out its V2I service beyond Las Vegas. But since most city's transportation systems are fragmented across multiple commissions, its unlikely they'll come online as quickly as Vegas did. While the automaker tries to hammer out deals, it's also exploring the next series of features for V2I. Think giving the driver an optimal speed to hit as many green lights in a row as possible or tying the start/stop feature of the car into the countdown so that the car doesn't turn off when there are only a few seconds before the signal changes. 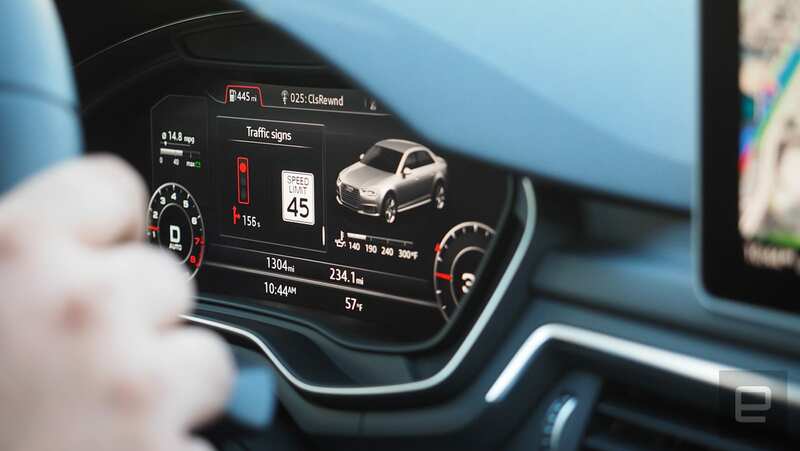 Audi also said that in the future it will share data with municipalities in real time. Currently it sends batches of stats with the city of Las Vegas. 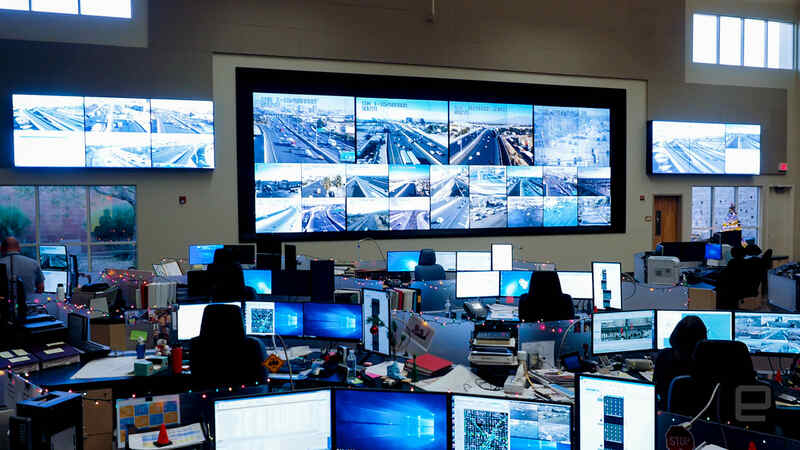 Once real-time information sharing goes live, a city like Vegas could adjust how traffic flows in real time and reduce gridlock by redirecting cars and adjusting signal timing. It's a conversation that ends with an easier commute. When cars and infrastructure talk to one another, it'll not only change the way vehicles move through a city but also how that metropolitan builds out future roads and services. But for right now, if you own a brand new Audi (A4, Q7 or A4 Allroad) and you happen to be in Vegas, you'll know exactly how much time you have to eat that burrito before you continue your trek to other side of the strip.